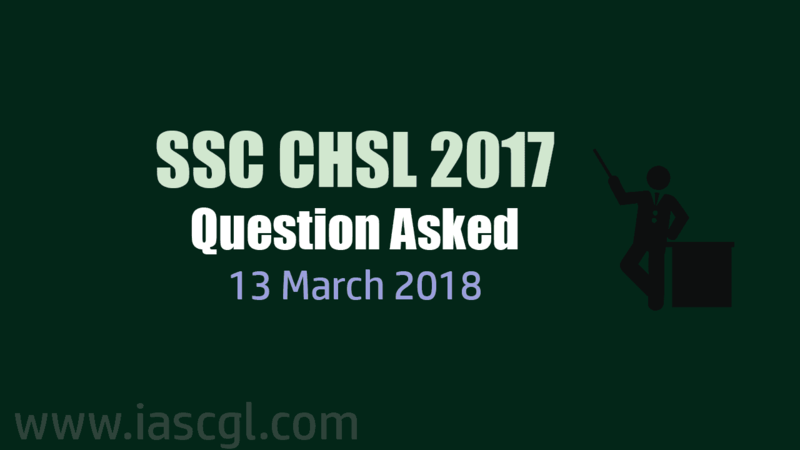 Question asked in SSC CHSL 2017 Tier I exam on 13 march 2018. In which five-year plan did the GDP target exceed? Rukhmani Devi is an athlete related to which sport? The line of Capricorn does not pass through which of the given countries – Chile, Philippines, South Africa, Argentina? Why dessert plants release CO2 during the night? Mentor India program was initiated by whom? Where is the headquarter of new development bank located? Hello Aspirant, If you appeared in the examination, please comment questions you remember.